Queen Mary still Shares her Dollhouse with the World. Want a noble site of yesterday? Picture Lady Mary's Dollshouse. This is a special miniature that was built somewhere between 1920 and 1924 in 1:12 scale. And no once again it was not intended for a child. Want a noble site of today? Of course picture the Royal Wedding of Prince William and Kate Middleton. What a grand picture any royal wedding is. This event took place on April 29, 2011. Both of these events bring up pictures of grandeur online. And both, were and are, history in the making in their specific time frames. One is set in the 1900s and the other is set in our now generation of 2011. Both have adventure written all over them. Lady Mary and her Royal Toys? 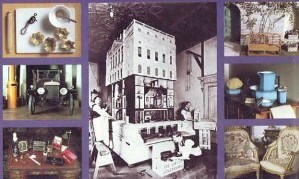 In Mary's era of the 1920s you can be assured that most doll houses were owned and admired by many adults. 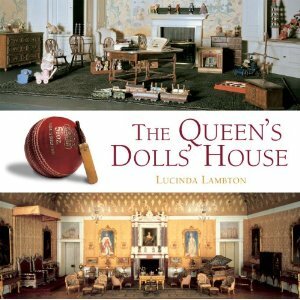 So it is no surprise that this dollshouse was owned by Queen Mary while she was the wife of King George. Not only was it a gift to this esteemed lady from the people of this day but it also indicates how life must have been for her in this period of time. Seeing as the fixtures and fittings are lifelike, working, and replicas of items actually found in Windsor Castle in the 1920s. 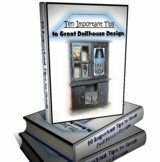 Every era we encounter for dollhouses has one very great characteristic. They have all been built by people who lived in the time. So naturally they put things they were use to having in these homes. That fact is interesting is it not? I think so too. So dollhouses would seem to be an accurate model of real life history. One that if we peer into we may just see things like workable desks, wardrobes with great imagination, grand decor and realistic fixtures. Artisans from all over were gathered up to work and display their specialties for this dollshouse. As a result most of the items contained in this structure actually work. Nowadays the Queen Mary Dollshouse is on permanent display in Windsor Castle in England. Tour Mary's Dollshouse in Picture form. Take a trip and study this awe inspiring Miniature Palace of the Royals. Learn from these earlier artisans. Return home with new excitement and enthusiasm for the dollshouse hobby you love. Give yourself even more reasons to explore this Royal Doll's House. London and surrounding areas are rich locations for miniature enthusiasts The Kensington Dollshouse Festival - Established in 1985 is just one event worth visiting London for. Truly you will be like a big kid in a toy shoppe. London is such an amazing place to visit for dollhouses. The festival takes place as an on-going event. So check the above link to find out the upcoming dates. Whether you're currently living in a today atmosphere in your miniature world, or copying from some other century with your existing miniature projects... Always be looking in historical events to add interest and grandeur to all you plan for your mini creations today.